Daily Slideshow: When it comes to Porsche's, no other car manufacturer embeds it's history in their cars like they do. 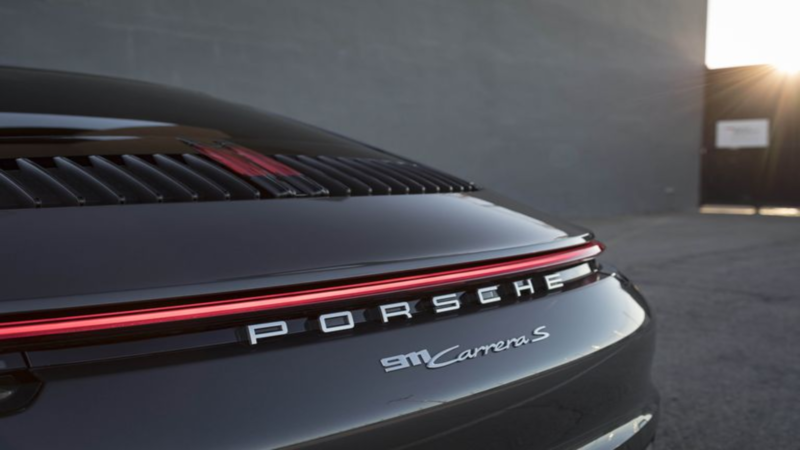 For Car enthusiasts, many things come to mind when you see the badge '911' or hear the reference to a 'nine eleven'. You think immediately about that iconic Porsche 356. The shapely, low slung beautiful car that the 911 was based on. In 1963, the 911 was born. Hidden in this new iteration was an air-cooled flat-six that produced 130bhp. Several variants started coming to life which included a "Targa" in 1965 which contained a roof panel between a protective "roll bar." This created a part-time convertible experience for the driver to enjoy when the whim took them. In 1970, the car became even more refined and shed some pounds by using lighter wheels and aluminum parts. The engine's displacement steadily increased and naturally, the car evolved performance wise with more horsepower. As the years waned on, many variants were born, each with their individual unique cues while keeping that original shape and style of the Porsche 911 fully intact. The most drastic change was in 1998 when the engines were all air-cooled until the introduction of the water-cooled Type 996. By now, you're familiar that Porsche's has a "badge system" that represents a specific era of their famous 911's. 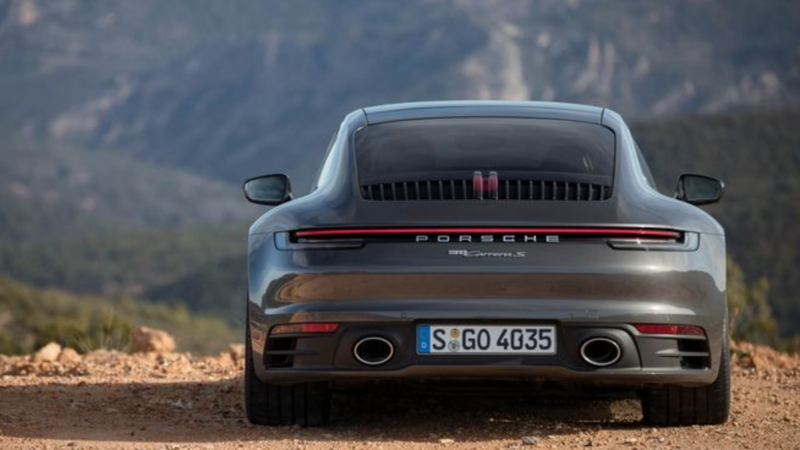 The Porsche 992 designated as the 8th generation in the line of their infamous rear engine sports cars. Unlike many of it's predecessors, it shares minor changes. You might recall the 993 series that started using the multi-link rear suspension. Or the 996 Carrera from 1999 that started using those very pronounced and often hated headlight design. This 992 shares the same wheelbase as the car it's replacing. In the past, the rear-wheel-drive versions were narrower than the same all-wheel-drive options. >>Join the conversation about the 992 right here in Rennlist.com. It's not really an illusion as the body is actually 40mm wider front and rear in this version. 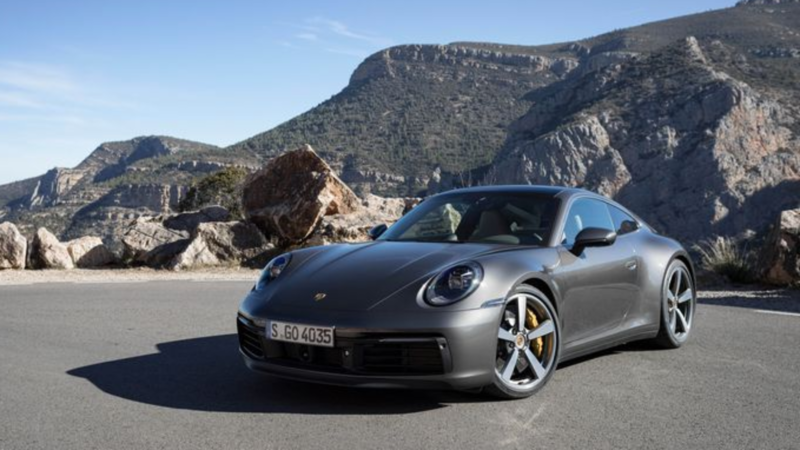 In fact, the Carrera 2S, and 4S share the same widebody. What's more, is that there is an LED light strip that is the length of the gap between taillights. This gives the appearance that the car is actually wider than it really is. This concept is very similar to the 1970's 911 Turbo. 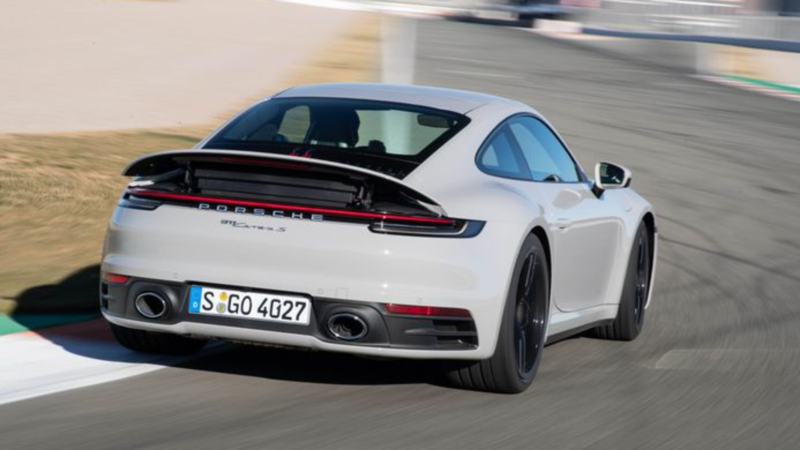 It's not a surprise that Porsche would use design cues to pay homage to the cars of the past by keeping some elements alive. 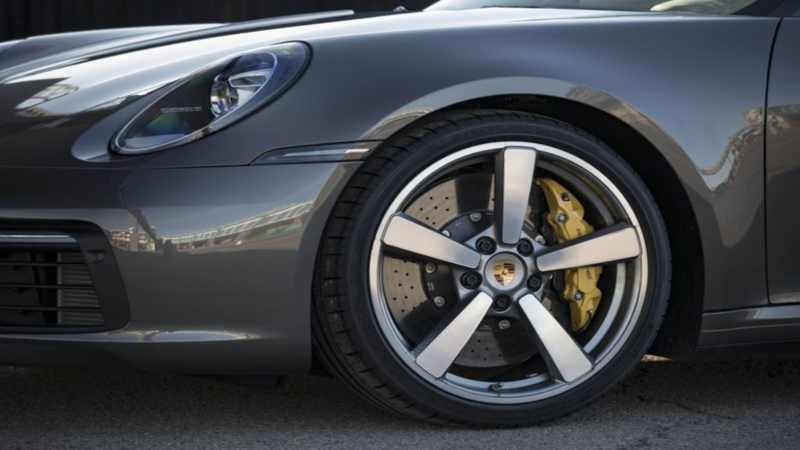 The 992’s wheels fit the wide wells appropriately, too. The car has a staggered wheel setup in both width and diameter. The front houses 20" wheels while the rear has 21" wheels. This staggered setup is a configuration we've seen on the latest GT3RS and some of the new Audi sedans as well. The fronts are wrapped in the size of 245/35/20 and the rears have a meaty 305/30/21. The tire of choice is the Pirelli P-Zero NA0. The superior choice in sports performance cars with features such as an F1 derived bead construction as well as the full silica compound that aid the high performing sports car in maximum grip and cornering. If there's one thing you can count on with any Porsche, it's the instant and apparent power the motor puts down to the wheels. 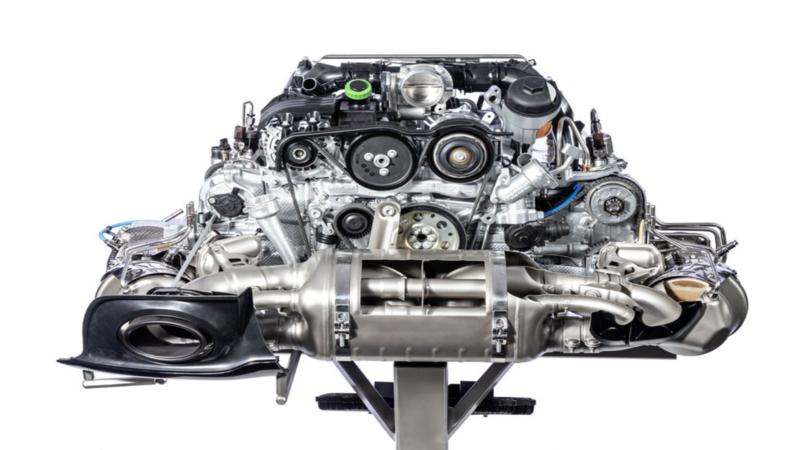 In this 911, the 3.0l flat-six gains a few components that increase its horsepower range from 420 to 444 horsepower. New turbochargers with a larger compressor wheel spin in opposition to each other. In previous models, the plumbing was lacking this type of flow. This way, the air path is identical which will improve response time and reduce turbo lag. Additionally, an electrically controlled wastegate replaces the older vacuum-controlled unit for improved boost management. 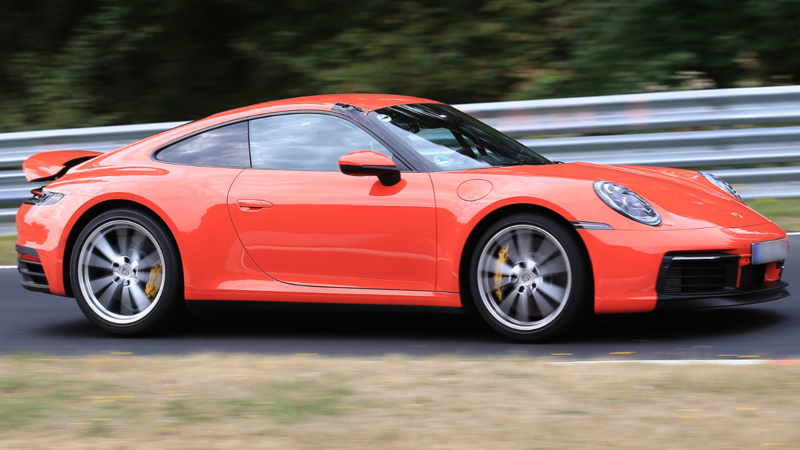 Through the use of the PDK transmission, this Porsche achieves harmonious power to ground at every corner. The PDK transmission is a dual-clutch transmission; a type of semi-automatic transmission. This transmission is designed to use two separate clutches for odd and even gear sets. In this one, in particular, there is an 8th gear that will save drivers that extra stop to the gas station. The braking arena contains a lot of neat features supporting this beast to safely come to a stop at any turn. For example, for the first time ever in a 911, an electrically pressurized brake booster is utilized. This is basically the framework for future hybrids or upcoming EV versions. In this model, the issue of pedal travel concern is addressed by utilizing a 41 percent lighter pedal. The rear brakes also get upgraded to 13.8" units over the usual 13" units. Lastly, the clever rear spoiler is used as an airbrake to help deceleration.